It’s only been three days since pop star Ariana Grande confirmed her relationship with Saturday Night Live star Pete Davidson, but things appear to be pretty serious. 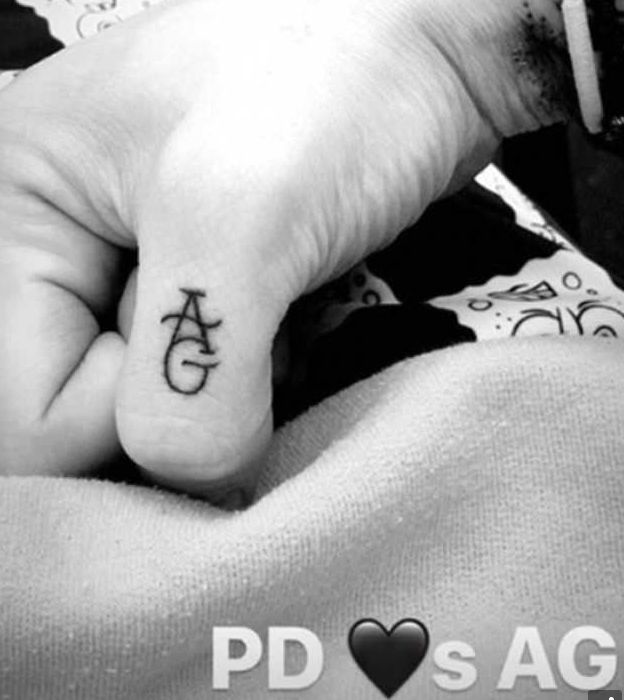 In photos posted to Instagram last night (June 2), Pete was seen getting two new tattoos – which were clear references to his singer girlfriend. Neither Ariana or Pete shared photos of the new ink on their social media, instead, the images were posted by California tattoo artist, London Reese. The couple confirmed their relationship in an Instagram post on Thursday, (May 31), as Pete shared a picture of the pair dressed up in Harry Potter attire. While he captioned the first official photo of the happy couple with ‘the chamber of secrets has opened…’, Ariana left quite a naught comment writing ‘u tryna slytherin’ before adding: ‘I’m deleting my account now’. Understandably, fans were pretty excited by the post, which, at the time of writing, has received over 650,000 likes. At the end of last month, rumours began circulating about Pete and Ariana’s relationship after the No More Tears Left To Cry singer announced she’d split from boyfriend Mac Miller. Ariana was holding Mac together for a long time and it wasn’t a good relationship for her. She is in a very good place and very happy now. The singer branded her relationship with Mac as ‘toxic’, writing a full statement after a Twitter user implied she was to blame for him being arrested in Los Angeles. Mac was driving under the influence on May 9, when his car hit a pole knocking it over. Fleeing from the scene he was later arrested for the hit and run. Mac Miller totalling his G wagon and getting a DUI after Ariana Grande dumped him for another dude after he poured his heart out on a ten song album to her called The Divine Feminine is just the most heartbreaking thing happening in Hollywood. Rightfully so, the ridiculous tweet caused outrage, leading to Ariana responding. How absurd that you minimise female self-respect and self-worth by saying someone should stay in a toxic relationship because he wrote an album about them, which btw isn’t the case (just Cinderella is about me). I am not a babysitter or a mother and no woman should feel that they need to be. I have cared for him and tried to support his sobriety and prayed for his balance for years (and always will of course) but shaming/blaming women for a man’s inability to keep his s**t together is a very major problem. Let’s please stop doing that. Of course I didn’t share about how hard or scary it was while it was happening but it was. I will continue to pray from the bottom of my heart that he figures it all out and that any other woman in this position does as well.